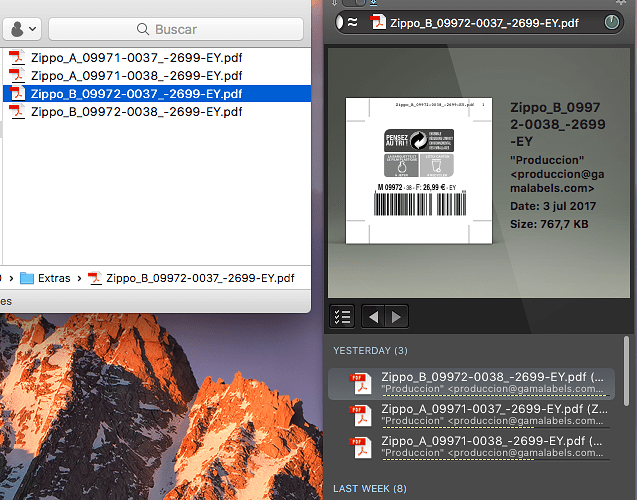 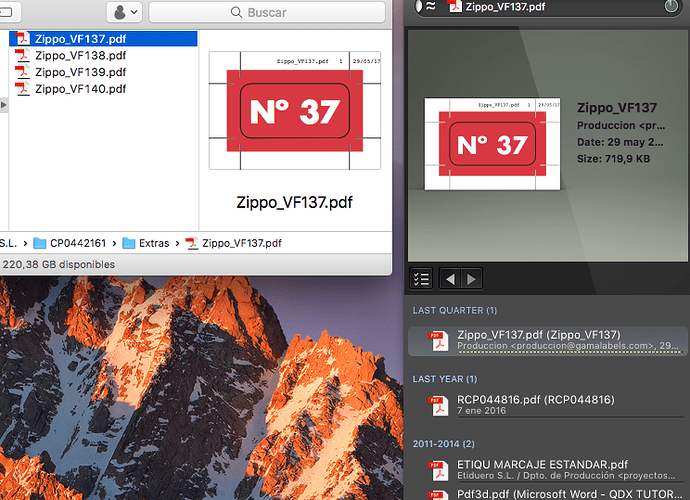 I was searching for files called Zippo_VFXXX.pdf in my second hard drive with is indexed in DEVONsphere EXPRESS. 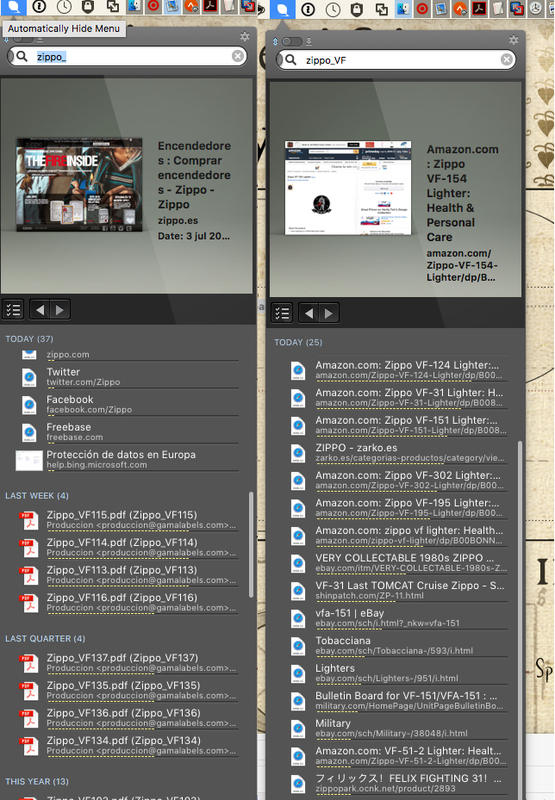 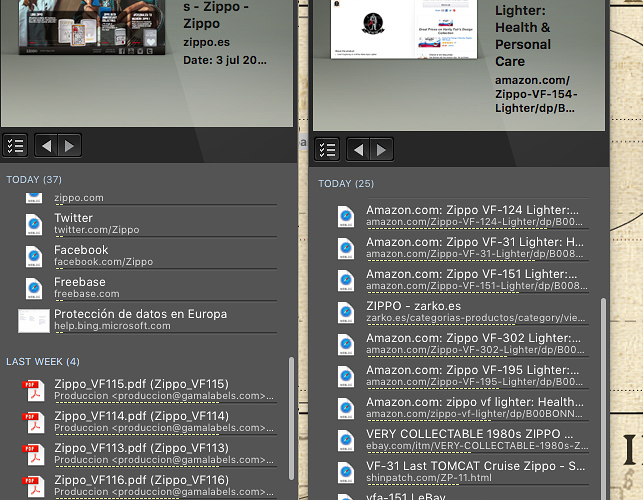 If I use Search mode and ask for Zippo_ the search goes well, but If I search for Zippo_VF the results are not good. 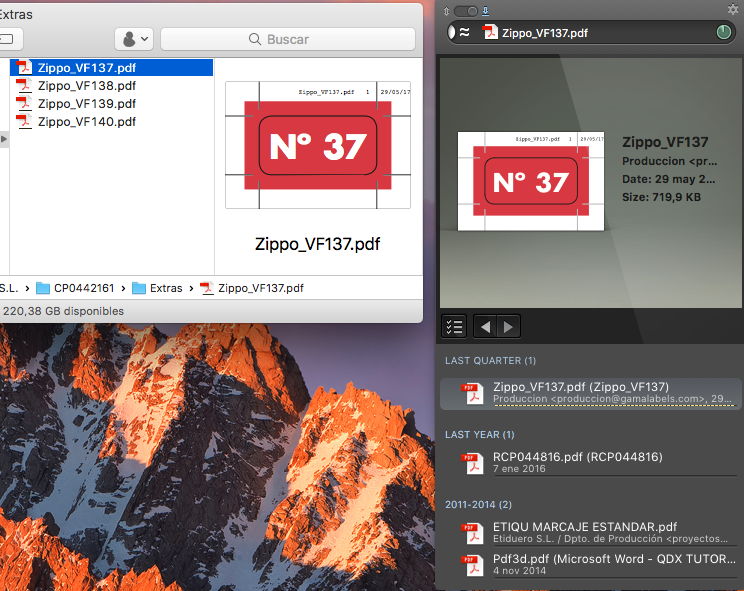 If I use Zippo_VF* it seems to work. 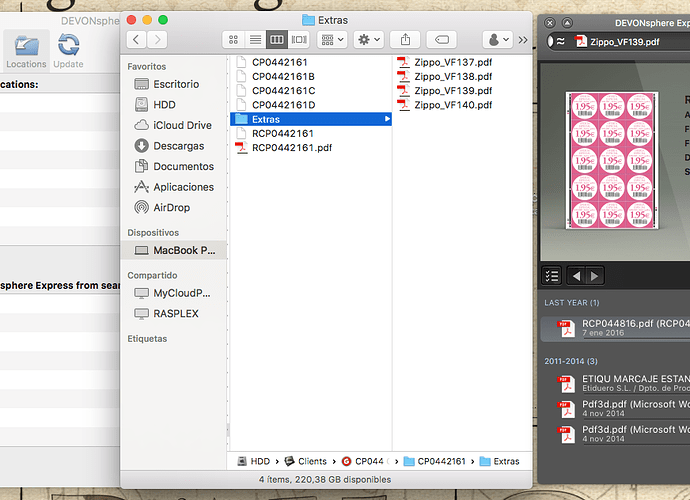 See Also doesn’t use filenames, only the contents of the files are used to find similar stuff. 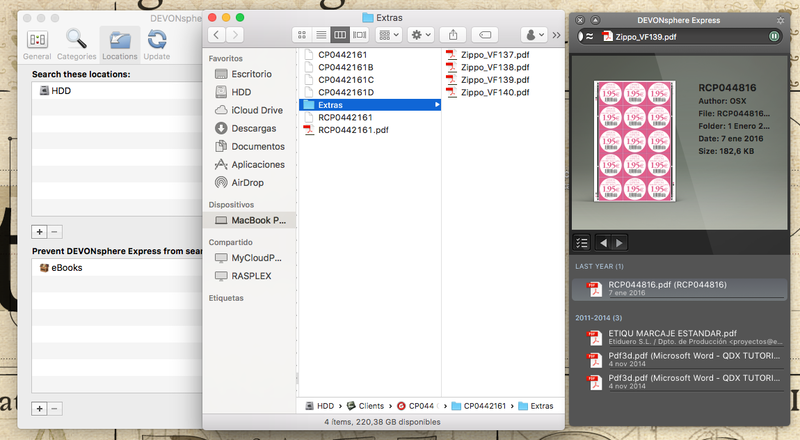 Hard to tell without having access to the files, the text contents are probably different or one of them doesn’t have any text content at all.